The annual summer camp is a long standing tradition of the Pony Club. Camp for many members is the highlight of the PC calendar. We are very fortunate to have the use of the facilities at Stowell Park, near Northleach to run three summer camps with fabulous countryside all around. All three camps have lots of room to practice flatwork as well as various show jumping courses and cross country jumps to hone the members’ skills. Camp takes place at the end of July, beginning of August depending on the school holiday dates. This is a residential camp. Horses/ponies are in temporary stables and members camp in caravans/lorries/tents under supervision of the parents on night duty. Accommodation is provided by members and shared with friends. 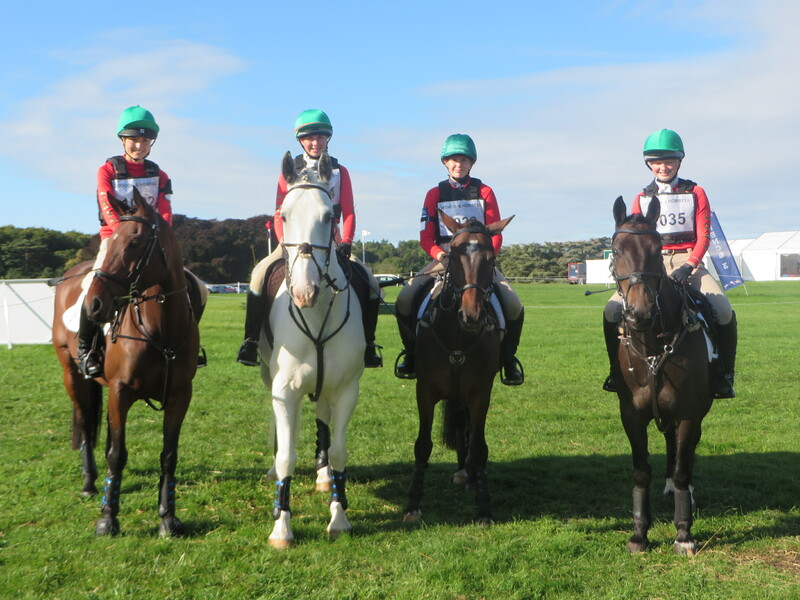 Of their ponies members are divided into 4 teams of mixed ages and given points for various duties, their riding,their turnout and much more. There is fierce competition to win the team prize! There is usually a competition within the rides on the last day. Each evening there is entertainment/games such as rounders, quizzes, swimming and educational talks from a vet or farrier etc. To go to camp you must attend three rallies of which two must be Pre Camp ones as well as one stable management rally, in the 12 months before camp. If possible this should be on the pony you intend to take to camp. Those with their C+ test don’t need to have attended stable management rallies. Full details will be on the camp forms that are posted on the CHPC website in the spring. Junior Camp runs for 5 days and children arrive at Oxpens Farm, Stowell Park each day for lots of instruction and fun. Children’s abilities range from the complete novice to the accomplished and the children are put in rides of around 6 depending on their ability. The emphasis is on fun and learning how to enjoy your pony and how to look after him well. Ponies can either go into separate mare and gelding fields for the night or go home daily. Each day there are various unmounted activities that members join in with in order that the ponies get a rest. Mini camp is for members 6 years and under and runs for 3 days with a slightly shorter day. Many of these members are on the leading rein. They have a mix of instruction, games and more games and a picnic ride down to the river (for a very competitive boat race after the picnic).